Yet another example of my “Chicklet” pendant. 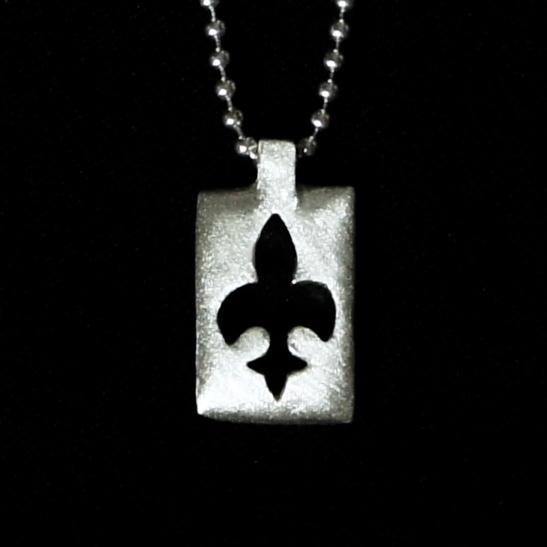 The Fleur de Lis is a stylized Lily said to signify perfection, light and life! As you look through my site, you will see that I incorporate this symbol often as it is very beautiful and very meaningful. The chicklet is named for the gum! Suspended on an 18″ bead chain.